It is Pride season again, and on Saturday I was at the Pride event in Long Beach CA to help out the San Gabriel Valley LGBTQ Center which I volunteer at these days. This was the first of several events I will be going to over the next few weeks, and others stretching over the next month or two. One of the people I was with made the comment that “We really are a diverse group here! !” The comment got me thinking, and re-opened my eyes to something that has amazed me in the relatively few years I have recognized that I am part of the LGBTQIA**** (the letters keep adding on) alphabet soup of life that does and will exist. My friend was right about the scope of the diversity that does exist and is on display at Pride events without shame and yes, with PRIDE in what and who each individual really is. To many people Diversity is one of those concepts that ranks up with blasphemy against a deity and the most horrendous of demons the Evil One (human imagination) has ever created. A person who is different is to be hated, feared, shamed and made valueless. The fear of diversity fuels minds to pull away from others, and to protect themselves by taking on feelings of superiority and exclusiveness above the different person. For the most part people with those feelings are good people in many many ways, but the fear and false god of superiority they have created masks that goodness terribly. At Pride events such as the one I was at, the diversity is so intense and so visible that after a moment or two the differences become the sameness of those who participate in them. We celebrate our differences to achieve our sameness and oneness by mentally stripping off the visual differences that at first overload us and can be dizzying to the point of a feeling of sickness for some who fit the pattern I described above. With the sameness we become even more aware of the other person’s humanity, and begin to look for the good elements that we share and find them more readily. Our conversations become how to help each other and take that helpfulness beyond those immediately with us. We reassure ourselves of our value, and explore new ways to add to that value in all ways, not just for ourselves, but those of our fellow humans who fear us and thus hide themselves deeper and deeper from the good that we could share fully. The LGBTQIA**** margin is not the only place where this can be present. The reason for other Pride events such as cultural gatherings of people “othered” and devalued, or even those of persons with what are declared to be disabilities, or mental diversity do the same thing, and people of different margins, as well as those who consider themselves “mainstream” are invited to submerge themselves in those groups by the same process of celebrating the diversity that will create the sameness of humanity. One group though who has suggested that it hold massive “Pride” events does not suggest their pride to be a celebration of diversity within that group, but rather enforced rigidity of an imagined sameness for only that group. Where that has been tried in recent months, there has been universal tragedy in many ways, the least of which has been murder. A celebration of false arrogance and even more false superiority is a hell on earth, and not a thing of pride, only of tears that they are afraid to show. 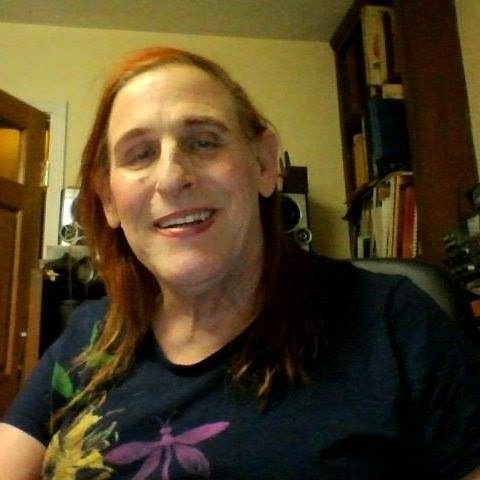 I could have been in this last group believing it’s agenda and set of beliefs, but I was not allowed to be there because of something strange and wonderful in me that I did not accept about my life for over 50 years until it was celebrate or die with my Gender Dysphoria. Today it is so “ordinary” for me to see inside of the differences in the outsides of people that I forget the lesson I relearned this past week. Pride and Peace be in your lives.